Our Girl Scout troop went on a Brec’s Baton Rouge Zoo Safari Sleepover this weekend. The event was something we did as a troop last year and the girls had such a great time that they wanted to do it again this year. We arrived Saturday at 5pm which we found out was 30 minutes too early. We stood out there in the hot sun with our troop as we waited for entrance to the Zoo. The Girl’s all had to use the bathroom and the only bathroom available was one old bathroom outside the park which was more than likely not being used anymore. We made due with what we had and waited. Once we gained entrance the girl’s were so excited!! We were greeted to a pizza party with 8 large pizzas, a variety of 2 bowls of fruit, and 2 gallons of fruit punch. The girls (and adults) had plenty to eat!! We actually had pizza & fruit left over. Since we had already done the African Safari theme, we did the Zoo Done It activity. It consisted of going throughout the Zoo with clues to find who took our groups night-time snacks. Our Safari Leader allowed us to start as early as possible so we had plenty of day light throughout the Afterhours Zoo Experience. We toured the Zoo, and eventually it got dark. Our Safari Leader was always cautious of our experience and made sure the girls received information about each animals from their origin to their diet. By the end of the evening the girls had seen almost ever animal minus a few exhibits which we saw the next morning. They also had plenty of bathroom breaks and enjoyed a cookie snack before heading back to the education room. Once in the Education room we were able to see a few more animals. This was nice, since everyone was tired and were ready for some air conditioning! The girls saw 4 more animals and by the end of the evening it was about 11pm. We then settled in for the evening and were ready for bed. Around 6am we were woken up to move our vehicles and get everyone dressed for breakfast. We were ready to start a new day!! For breakfast we had 2 boxes of powered donuts, a variety of dry cereal, milk, orange juice, and of course coffee for the adults! 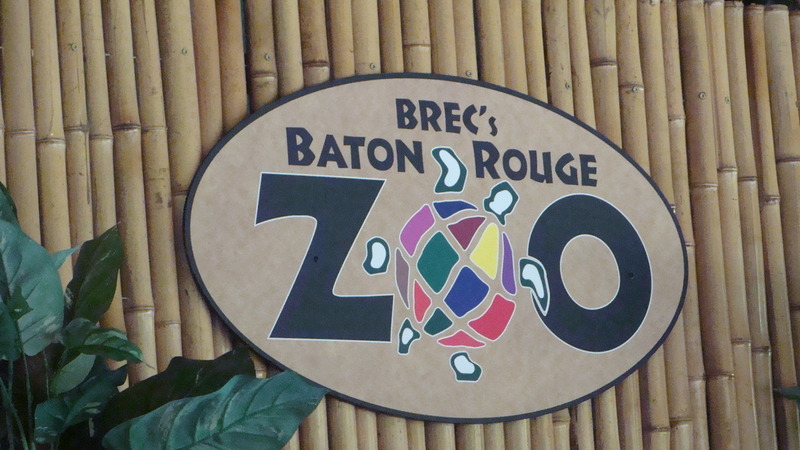 We also received our Brec’s Baton Rouge Zoo Safari Night T-Shirt. After breakfast, we also had another Show N Tell session with 4 more animals at their Animal Theatre. We then toured several exhibits, took plenty of pictures, played in the playground and…. fed the giraffes!! This was the highlight of the trip. We then all made our way to the train station where we waited for the train as we made a few purchases in the gift shop. The girl’s had such a great time. We really enjoyed our Safari Leader Ashligh, and loved that she made a different experience for the troop. We were able to enjoy everything we did last year, yet adding a few new experience this year!! She even took us on several different areas we were not able to go to last year. She was strict, but her main goal was to not just entertain, but educate all while protecting the girls and her animals at the same time!! She even taught the girls a new Camp Song!! I recommend this activity to any Girl Scout Troop. Your troop will really enjoy the experience. It is well-worth the price of $28 per person!! You will receive plenty of food/beverages per person and get plenty of perks within the park and of course get a T-Shirt, and keep any group busy!! . Hi! Visiting from Mom Spark. What a fun trip. I’ll bet they had a blast!